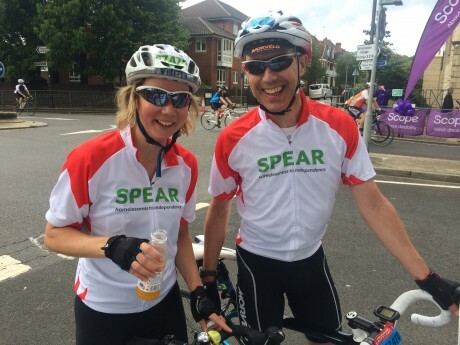 This weekend saw SPEAR’s third year of participation in Ride London, a gruelling 100 mile cycling event that starts at Queen Elizabeth Olympic Park, leads cyclists over the beautiful Surrey hills, and finishes on The Mall in Central London. This massive feat was taken on by seven impressive cyclists, all with varying backgrounds in supporting SPEAR. There was a mix of new and long-term supporters, and one cyclist who is actually a SPEAR client. 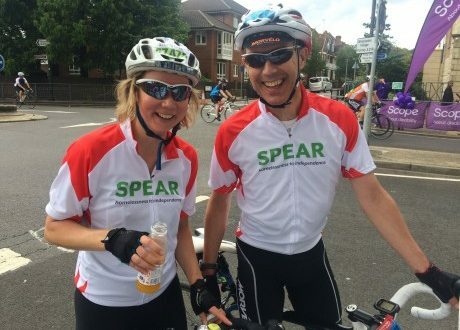 SPEAR sends a huge THANK YOU to all riders, Leo, Dan, Jane, Alan, Pete, Jamie, and Edd, for all the hard work put into training and fundraising. It’s great to know that cycling friends were made along the way. We hope you recover in time for next years event! Your activity on social media was important in raising what looks to be our highest total raised at a Ride London event so far. Edd finished the ride and was “glad [he] could provide some funds to a great charity. 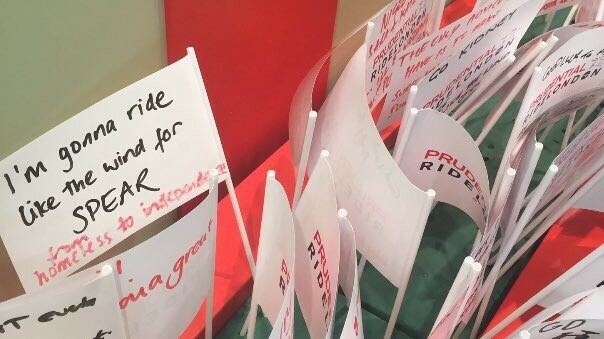 Another big thank you goes to all the supporters at Ride London, old and young. 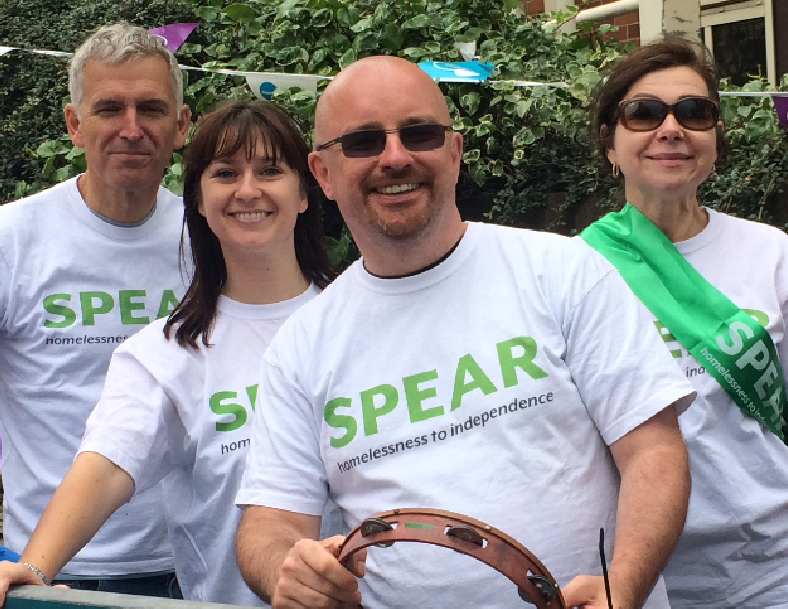 SPEAR supported the cyclists in Wimbledon, just 10 miles from the finish to give the cyclists a much needed push to the finish. 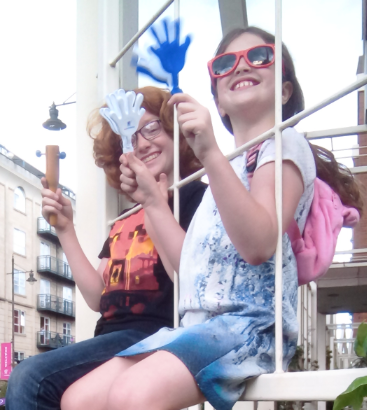 SPEAR supporters were also close to cheerers from Evelina Children’s Hospital and Scope so many thanks to them for supporting our cyclists as though they were their own. Watch this space for the total raised for SPEAR. 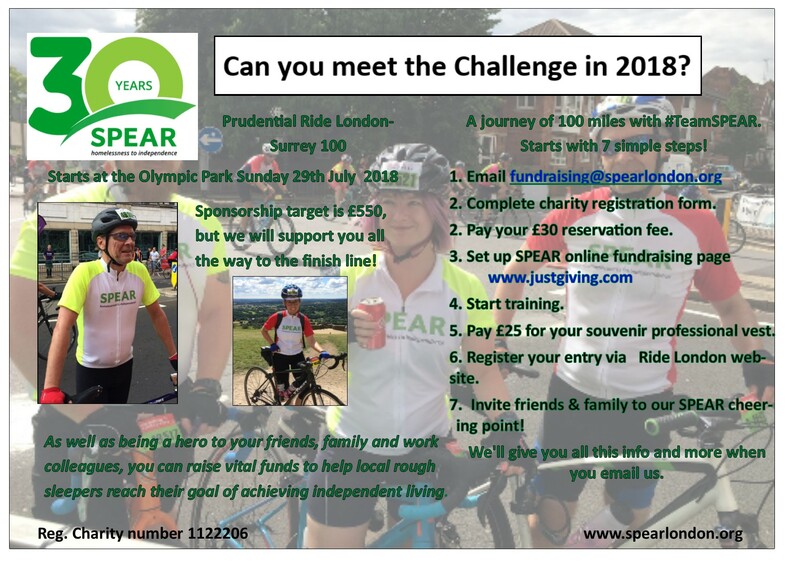 If you want to Ride London for SPEAR next year we have 20 spaces available so send an email to fundraising@spearlondon.org to register your interest and for more information.